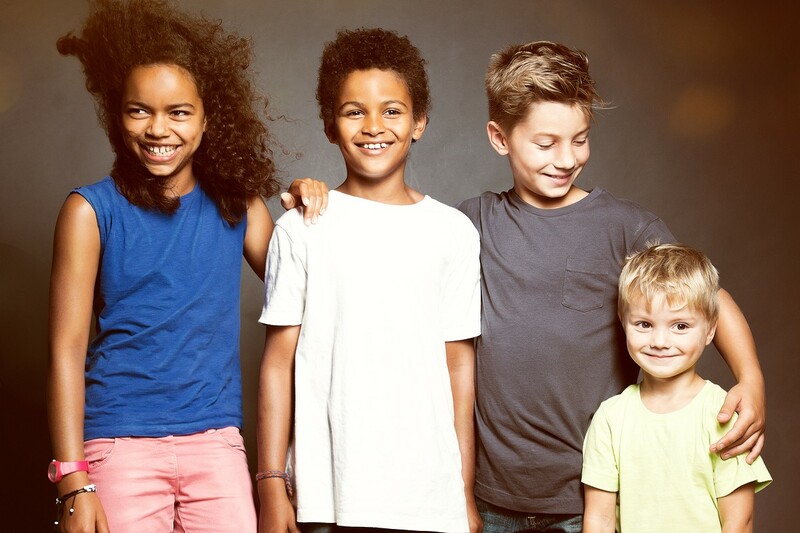 More than 60% of Americans today are somehow connected to adoption. When a child is adopted, it creates a ripple effect, touching the lives of not only the child’s parents and birth parents but also his or her extended family, friends, teachers, social workers, and future children and grandchildren. Yet persistent myths are hard to shake, and perception, rather than fact, keeps the often damaging untruths in circulation. As an adult adoptee and the chief executive of The Donaldson Adoption Institute in New York City, April Dinwoodie has seemingly heard them all. Born to a Solo Mom and adopted transracially from the Massachusetts foster-care system, Dinwoodie is especially sensitive to the perceptions of foster care, race, and the role of birth parents in adoption. Here, we present some of the most pervasive adoption and foster-care myths and dispel them based on our interview with her. Pigeonholing the birth parents as villains and adoptive parents as heroes is shallow and uncalled for. Dinwoodie explains: “Just because your child is being adopted, for whatever reason—by choice or by having your parental rights terminated—doesn’t mean you don’t love your kid. And it doesn’t mean, quite frankly, that an adoptive parent can love a child better than a biological parent. It’s not either/or; it’s both/and,” she adds, meaning that the child carries an imprint of both families. There is no reason to separate the love all the parents have for this child. The love of adoptive parents isn’t better than the love of biological parents; it’s just coming from different places. And with open adoptions today being the norm rather than the exception—more and more birth families choose to stay involved in the child’s life. “There are a lot of beautiful stories of interconnectivity today,” Dinwoodie says. Even in the worst of cases, when the biological parent is in jail or struggles with addiction or other challenges, vilifying the parent can hurt the child. Although it is true that some forms of adoption cost more than others, keep in mind that all forms of adoption aren’t available only to the rich. The costs of foster-care adoption versus private adoption can vary greatly: “We [believe this myth that] all adoption is expensive. No, no. Private adoption is expensive,” Dinwoodie says, adding that private adoption costs can sometimes soar into the tens of thousands. Foster-care adoptions can be a better choice for those who can’t afford private. They also often come with resources, both financial and educational, that can help support the family, including money to set aside for education and therapy, resources that typically come out of the adoptive parents’ pockets in private adoptions. Private adoption does come with a federal tax credit of more than $13,000, but it’s important to look at all options before jumping to conclusions. But at the same time, there is a reality to adopting a child from foster care that cannot be ignored. According to Dinwoodie, “One of the things that’s really dangerous is that we talk about, ‘Oh yeah, these kids are just like every other kid.’ Well they’re not.” Instead, parents need to address any trauma the child might have suffered and help the child heal by creating a loving, stable family and keeping in contact with the birth family when possible. Love is a basic necessity to any parent-child relationship, and this especially rings true in adoptive families. But it isn’t the only important factor when raising an adopted child. For example, many transracial adult adoptees have grown up feeling isolated and unsure of their place in their families and communities after their parents ignored their diversity—their race and background—despite feeling loved. Identity seeking, especially for adoptees involved in closed adoptions, is perfectly normal. Dinwoodie cautions against this kind of mentality. “This idea that you should forget about where you come from is not healthy,” she says. It’s human nature to want to know where you come from, who you look like, where you got those freckles, etc. Many people surveyed by The Donaldson Institute said they went overseas to adopt for this reason and later realized it was a big mistake. Dinwoodie weighs in: “Any person who is adopting [a child] has to help ground their kid in reality of their beginnings of life.” At the institute, she says, they encourage intercountry adoptive parents to try to find at least one person from the child’s birth family and to keep in contact with that person. “It makes a huge difference,” she says. Birth mothers come in all ages and races with all different socioeconomic backgrounds. The Donaldson Institute has done perception studies that involve open-ended questions on what people think of birth mothers who both make an adoption plan and those who have their children involuntarily removed. The perceptions about birth mothers tend to be blanket and overly negative, especially for birth mothers whose rights were terminated involuntarily. According to Dinwoodie, many people think women who choose to place their child up for adoption are young, poor, single, or unable to care for the child. And for birth parents who lose custody, many think they are poor, addicts, abusive, or criminals, among other negative attributes.